From the author of the Mini Hacks for Pokémon GO Players, a new guide book for the whitehot smartphone game! You may have an impressive collection of rare Pokémon, but do you know where to find a Dratini? And now that you finally have enough Eevee candy, do you know how to evolve that Pokémon into any final form you wish? You may have toppled an enemy gym, but do you know the best Pokémon to leave behind to defend it? 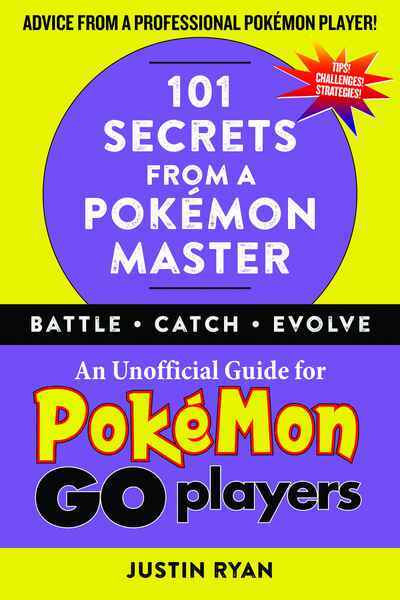 There are a lot of secrets and strategies to Pokémon GO, and only with these 101 tips, secrets and challenges will you be able to become a true Pokémon GO master. Includes tips and techniques on battling, catching, evolving, and leveling up— things you can’t get anywhere online!